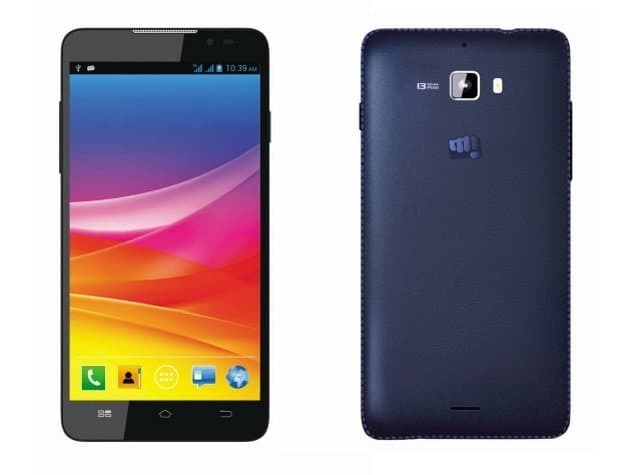 z-Old Categories Brands Micromax Canvas Nitro: A competitor of Moto G from Micromax? Micromax Canvas Nitro: A competitor of Moto G from Micromax? Right after Motorola release Moto G 2nd Gen, Micromax has also launched another handset at the same price segment, and it costs same as Moto G 2nd Gen.
Today Micromax launched another handset in their Canvas line-up, the Canvas Nitro. 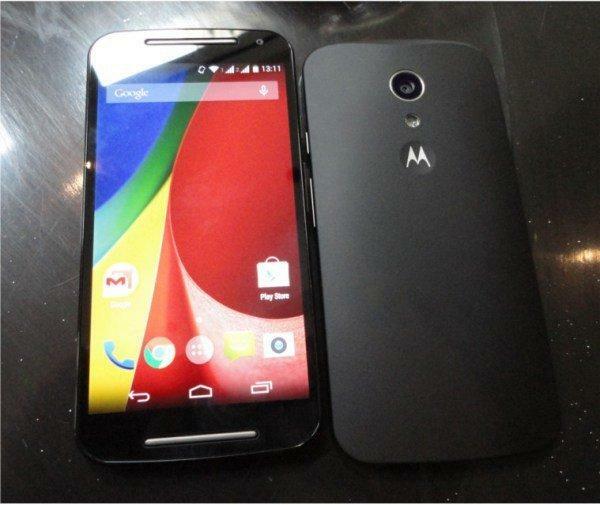 And this is most likely a rival for Moto G 2nd Gen from Micromax. The phone costs same as Moto G, 12990 INR and instead of Flipkart, Micromax chose Snapdeal to sell this phone. So, is it a Moto G rival? What are the specs? Will it be able to beat Moto G 2nd Gen? Let’s find out in this Moto G vs Canvas Nitro comparison. Speaking about the Canvas Nitro, this phone has almost everything at a good price-tag. The Micromax Canvas Nitro is powered by a 1.7GHz octa-core MediaTek MT6592 processor, along with 2GB of RAM. It features a 5-megapixel front-facing fixed focus camera, apart from a 13-megapixel rear autofocus camera. The phone runs Android 4.4 Kitkat out of the box and the phone has a 5 inch 720×1280 display. On the other hand, if we speak about Moto G 2nd Gen, it has some negative points. Moto G 2nd Gen has got 1.2 Ghz quad core processor, which means lower clock speed. But at the same time, Moto G has better SoC from Qualcomm. In case of RAM also, Moto G 2nd Gen has got just 1 GB RAM. Both the phones have 5 inch displays and have same resolution. In case of the camera, Moto G has 8MP front camera whereas Canvas Nitro has got 13 MP autofocus camera. Moto G got 2MP front facing camera, but Canvas Nitro has a 5 MP fixed focus camera. So, in these cases Canvas Nitro is ahead of Moto G. But one thing, that I actually hate about Micromax is their SoC. Till now, Micromax has included Qualcomm Snapdragon in their Unite handsets. But in other phones, still no sign of Snapdragon SoC. But still, we believe that Micromax is doing a good job and this handset can give a tough competition to Moto G 2nd Gen. Here’s a brief comparison between the key features Micromax Canvas Nitro and the Moto G 2nd Gen.
Hope you have got some idea about both the phones, we will try to bring the detailed review of Moto G 2nd Gen very soon. 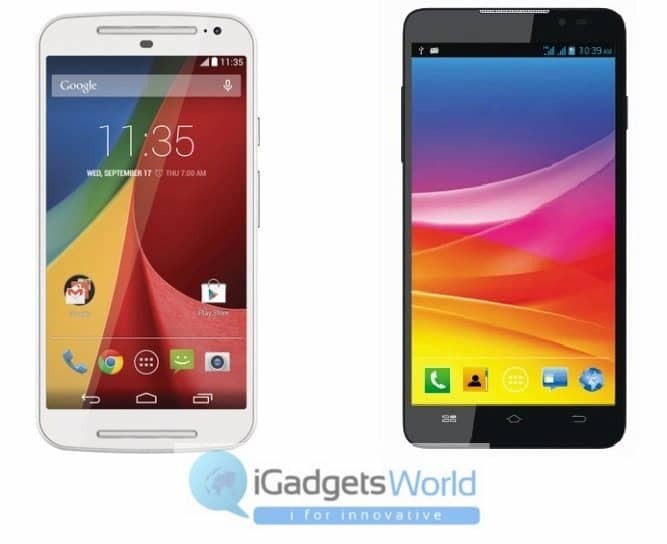 Also read our previous comparison between Moto G and Moto G 2nd Gen.